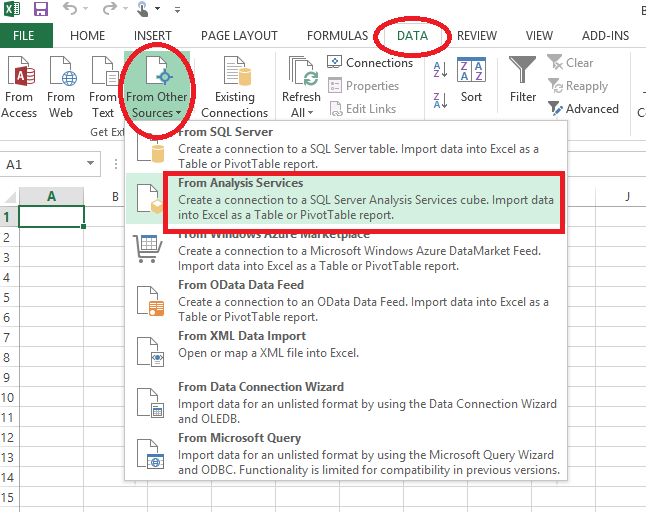 How to get connection string from an Excel sheet? You can follow the given steps to get connection string. 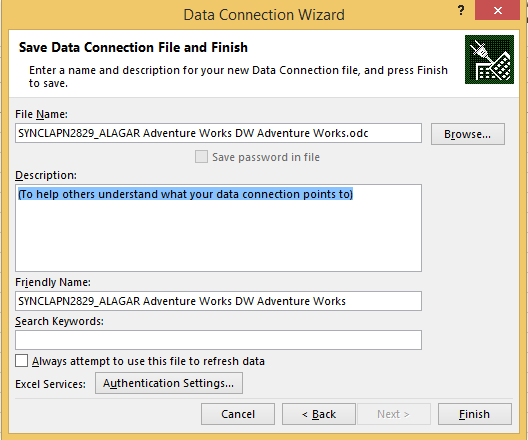 The Data Connection Wizard dialog appears. Provide server name in Server Name textbox and click Next. 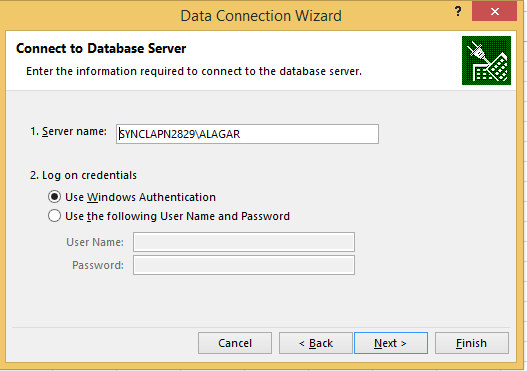 Note: When you have credentials to your SQL Server, enter its user name and password accordingly. 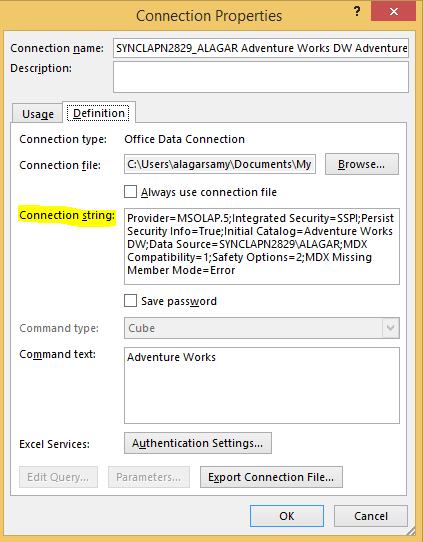 The Connection Properties window appears. 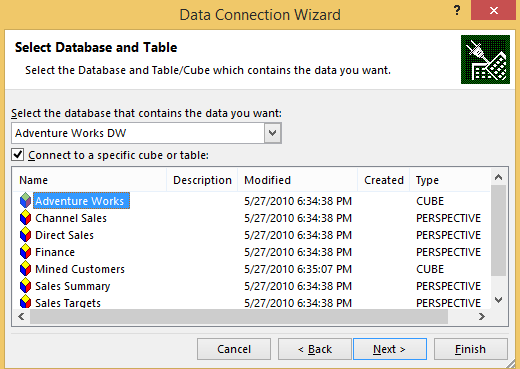 Select the Definition tab and copy the connection string. You can use this connection string in your project or application, holding your OLAP control.